The following page is a two column layout with a header that contains a quicklinks jump menu and the search CSUN function. Page sections are identified with headers. The footer contains update, contact and emergency information. 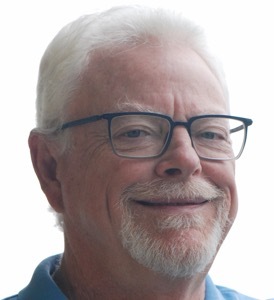 I have extensive experience working on the community ecology of California coastal marine fishes particularly those that occur in the bays, estuaries and harbors of Southern California. 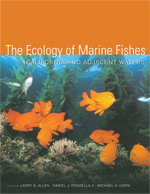 In addition, recent efforts have dealt with fish assemblages in kelp bed and rock reefs in Southern California. Past research has also included investigations into biogeography of bay/estuarine and coastal marine fishes. My experience into the field of systematics has centered on the development and classification of clingfishes (Gobiesociformes) and wreckfishes (Polyprionidae). Currently, my students and I are investigating life history, ecology, population genetics, and recruitment mechanisms of several important commercial species of fishes including giant sea bass, soupfin sharks, white seabass, California halibut, kelp bass, barred sand bass, and spotted sand bass. Marine fishes have been intensively studied, and some of the fundamental ideas in the science of marine ecology have emerged from the body of knowledge derived from this diverse group of organisms. This unique, authoritative, and accessible reference, compiled by 35 luminary ecologists, evolutionary biologists, and ichthyologists, provides a synthesis and interpretation of the large, often daunting, body of information on the ecology of marine fishes. The focus is on the fauna of the eastern Pacific, especially the fishes of the California coast, a group among the most diverse and best studied of all marine ecosystems. A generously illustrated and comprehensive source of information, this volume will also be an important launching pad for future research and will shed new light on the study of marine fish ecology worldwide. The contributors touch on many fields in biology, including physiology, development, genetics, behavior, ecology, and evolution. The book includes sections on the history of research, both published and unpublished data, sections on collecting techniques, and references to important earlier studies. ILLUSTRATIONS FROM THE BOOK available for download.